Description: Garth is considered a big mouth puppet and is 12" in length. 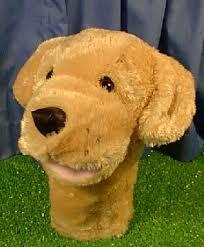 This is a wonderful Golden retriever puppet great for all ages. This puppet is large enough for the adult hand, but is easily operated by large and small alike. Makes a cute Golf Club cover !